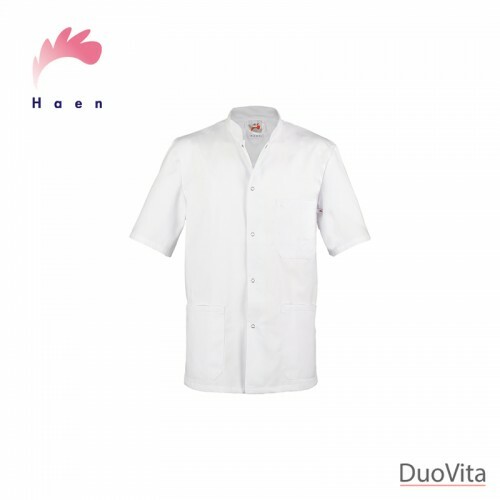 Men's Nursing Uniform Friso Nursing uniform for men with short sleeves. Nursing uniform for men with short sleeves. 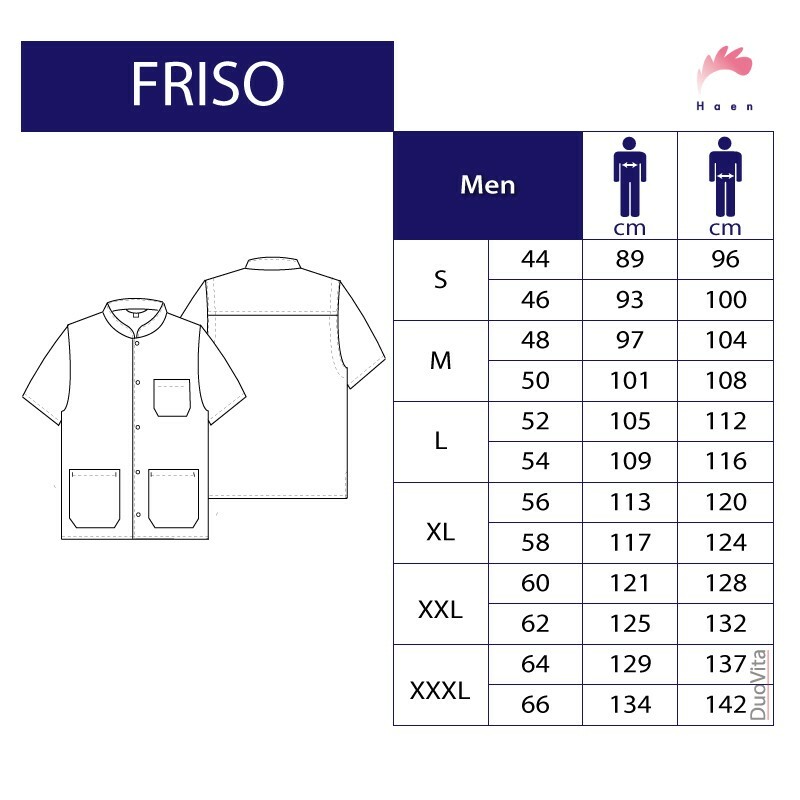 The Friso model is plain white and comes with snap button studs and a stand-up collar. 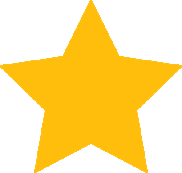 The uniform has a straight shape and is about 31,5" (80cm) long. There is one chest pocket and two patch pockets on the front so that you have all your equipment close at hand.